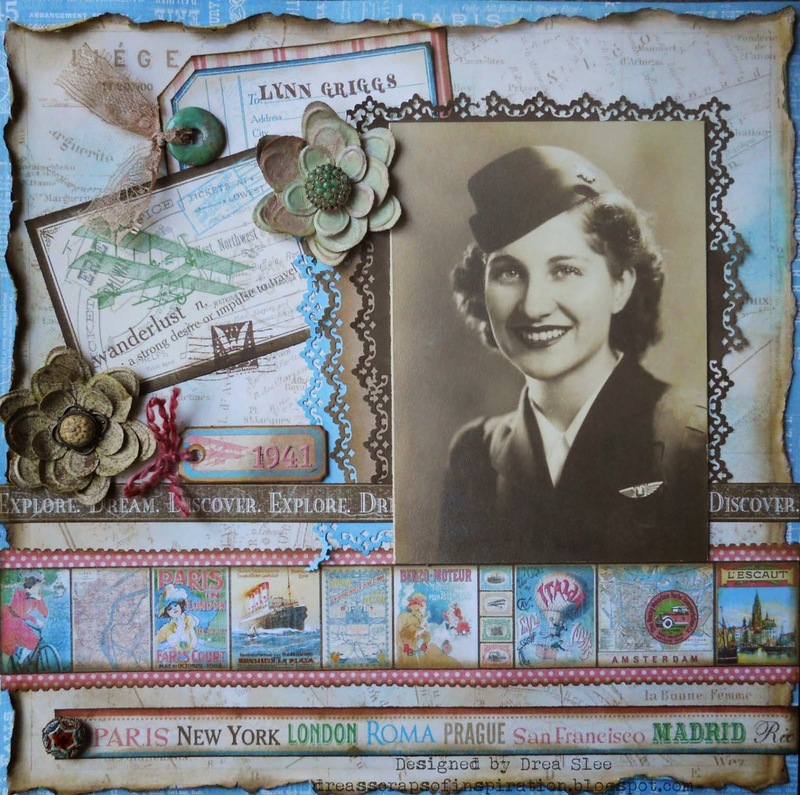 Graphic 45's new collection, Come Away With Me, from FotoBella, was exactly what I had in mind to get started on this vintage photo album for my sister-in-law, of her and my husband's late grandmother, who was a flight attendant in her younger years. This is the first cover page. I distressed and inked the map background. 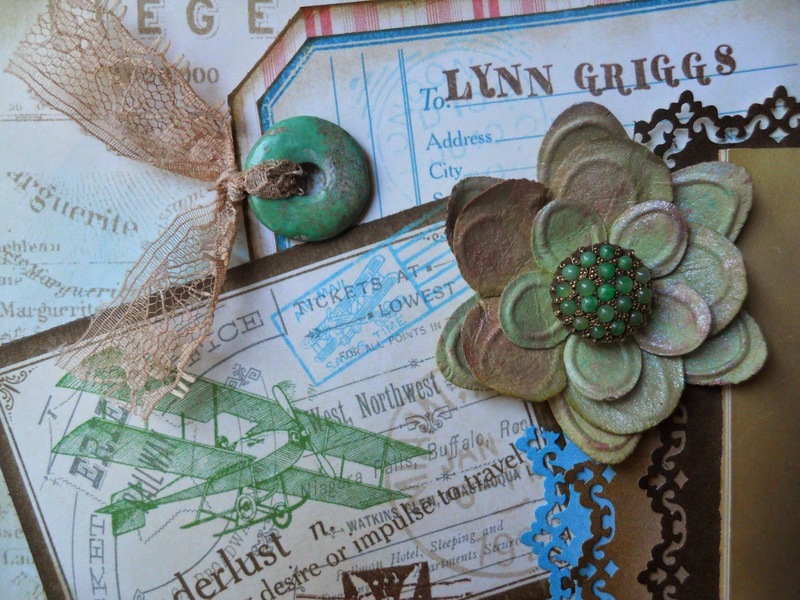 The wanderlust Journaling and Ephemera Card was layered over the tag with her stamped name. 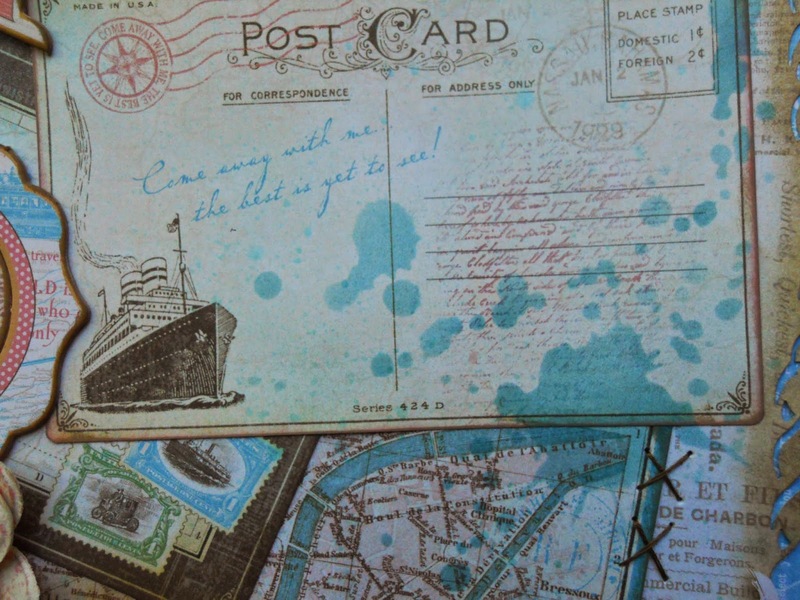 I also stamped the postage along the bottom. I misted some lace to go through the green stone that was once hers or her daughters. The button on the bottom, and the centers for the misted Prima flowers also belonged to one of them, giving this page a more personal touch. The punched cardstock layers behind the photo was done using the 6 x 6 Cardstock Pad. Thanks for looking! 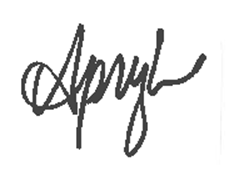 Hello, Apryl here with you today to share a gift box tutorial that is super easy. I saw this diagram that was posted by Scrappin' Escapes on Facebook and it was done with a paper plate. I thought why a paper plate when I have all these beautiful papers to play with that would make a great gift box. The FotoBella bundle I'm using is Basic Grey's Grand Bazaar. 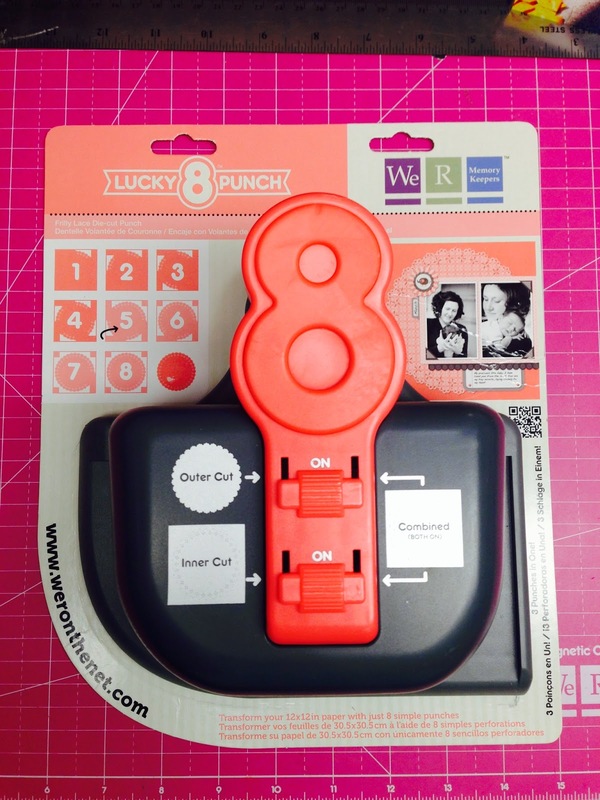 I started with one of my Lucky 8 punches. 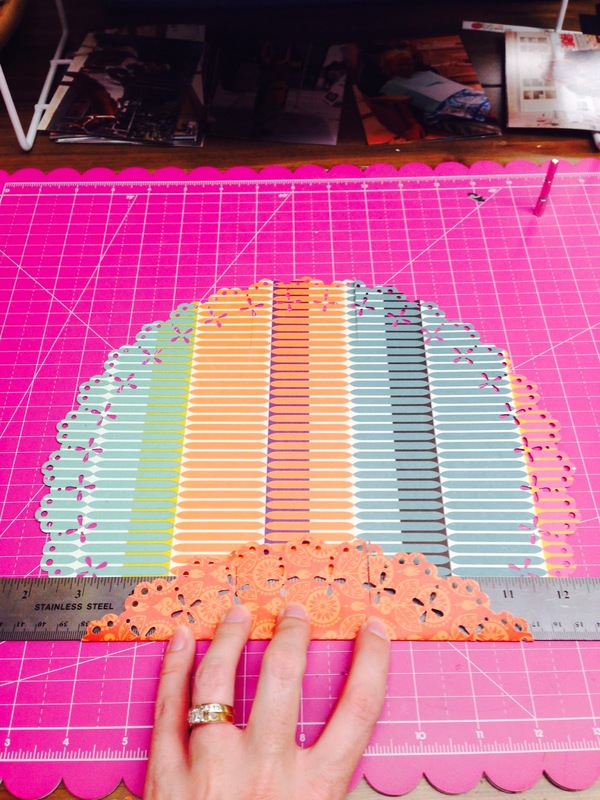 Any pattern with will work with a 12 x12 piece of paper. 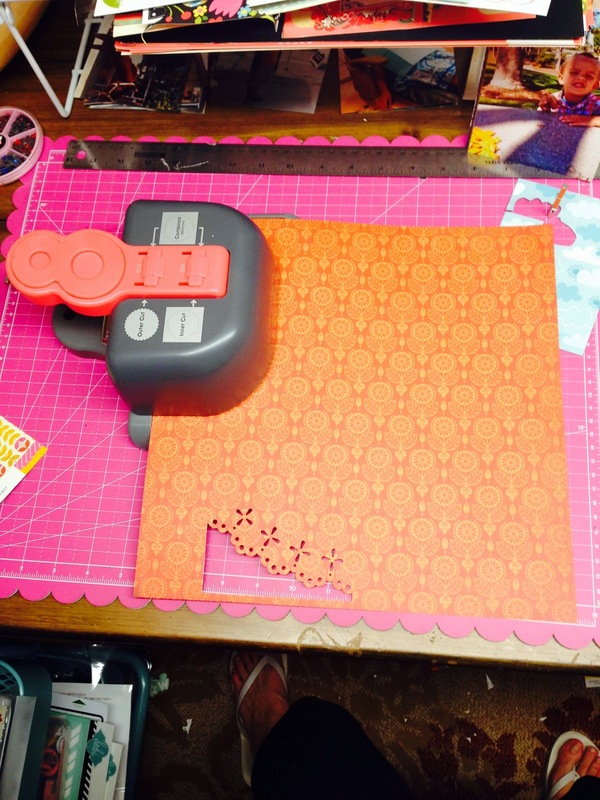 I used the frilly lace punch. 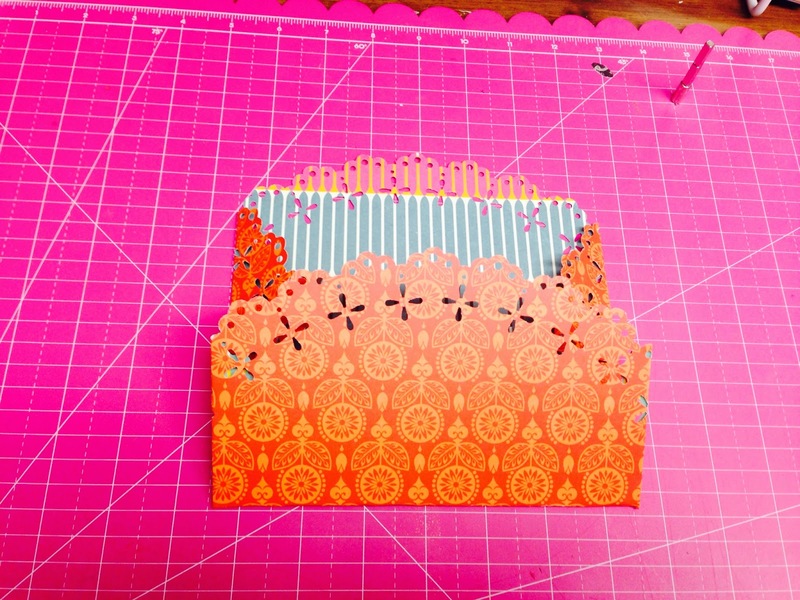 Patterned paper used here is "Persia". 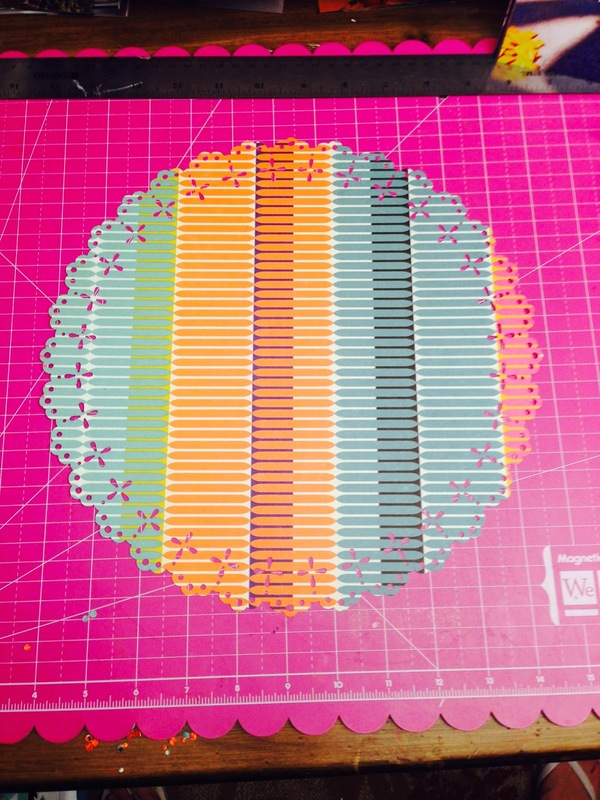 Once the shape was punched out, I measure a two inch strip down the middle of the circle. Make fold lines. 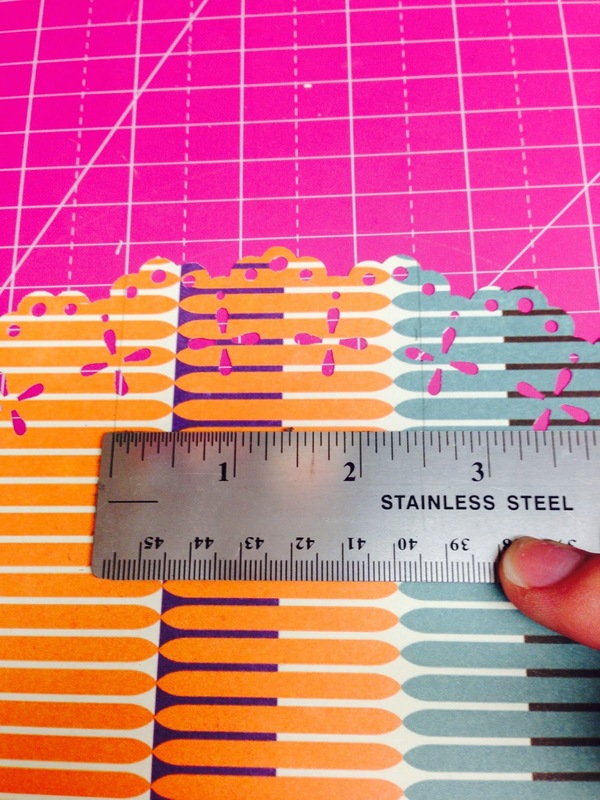 Then measure two inches in on the opposite sides. 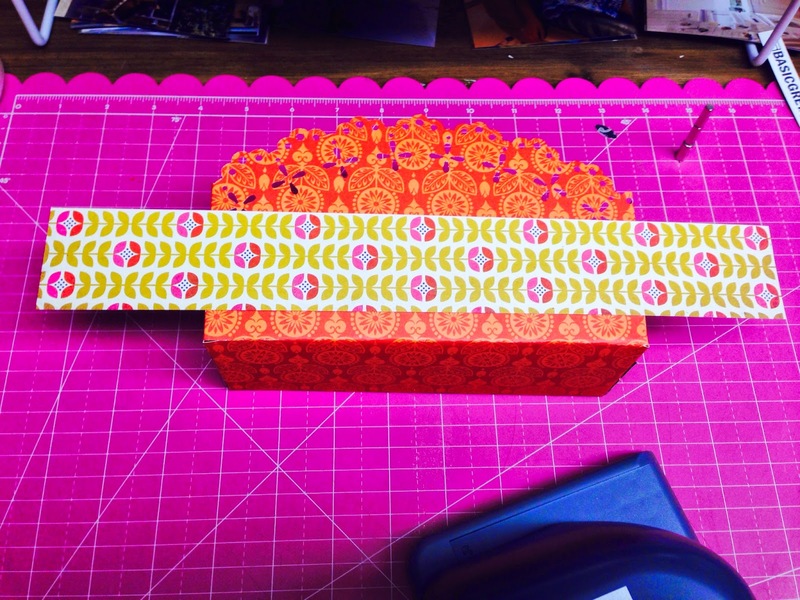 Once all the flaps are folded in, tape the inside so that it forms a box. To embellish the box. 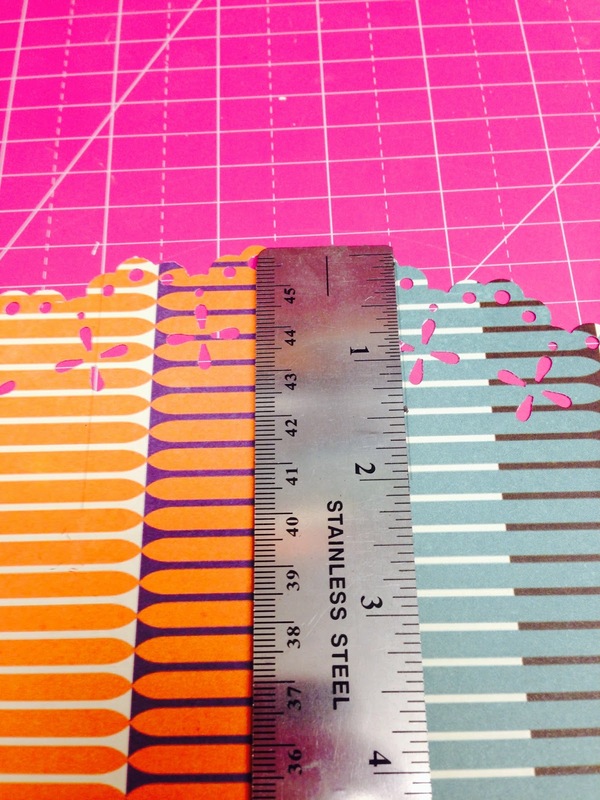 Cut a 2 1/2 inch strip of the "Empire" paper and adhere to the box. Embellish the front with stickers and chipboard stickers. Now you have a beautiful gift box to fill with something fabulous! I like to find a nice layout sketch, but then alter it to make it unique and meet the needs of my layout. I used the sketch for the picture placements. I used the Best Day Ever sheet for both pages. I printed the pictures, cut them out and placed them on the paper. This way it is easier to visualize it and then proceed from there. 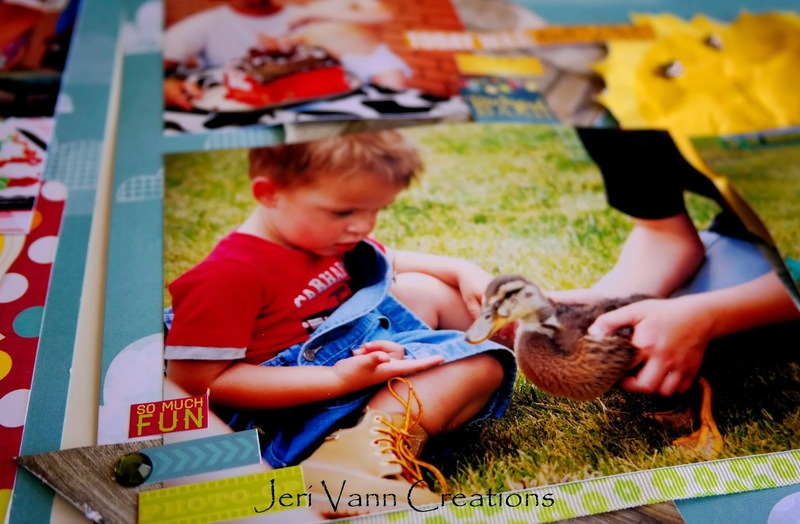 Find some Noteworthy Die-Cuts and some prints from the pages you like. Cut them out and spray them with some water. Let the water soak in a little, and then crumple them up. 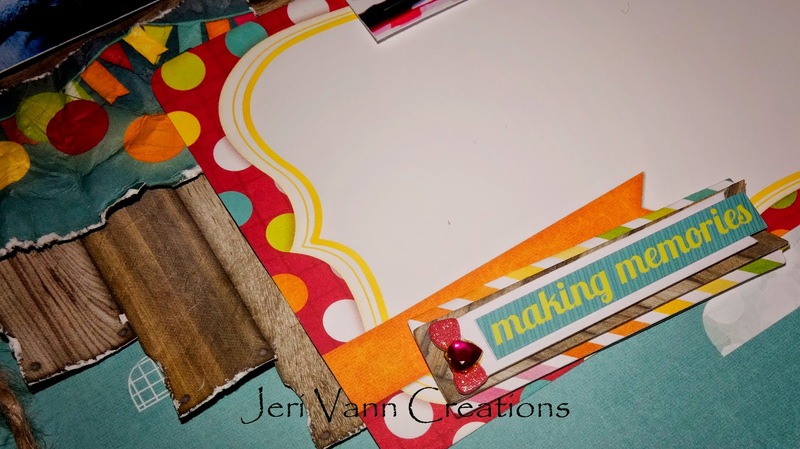 Find the Block Party Sheet and cut out the wood floor pieces as I have shown. 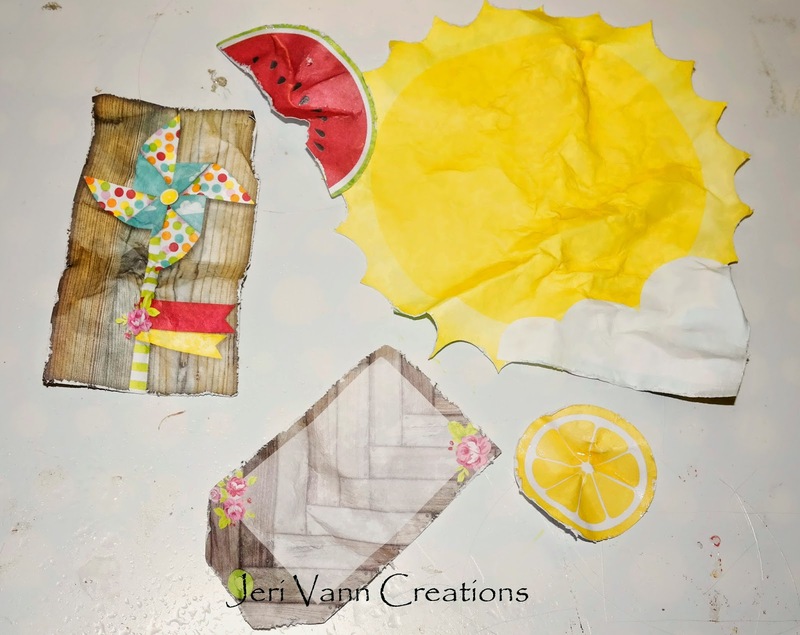 Spray these with water, crumple and set aside to dry. 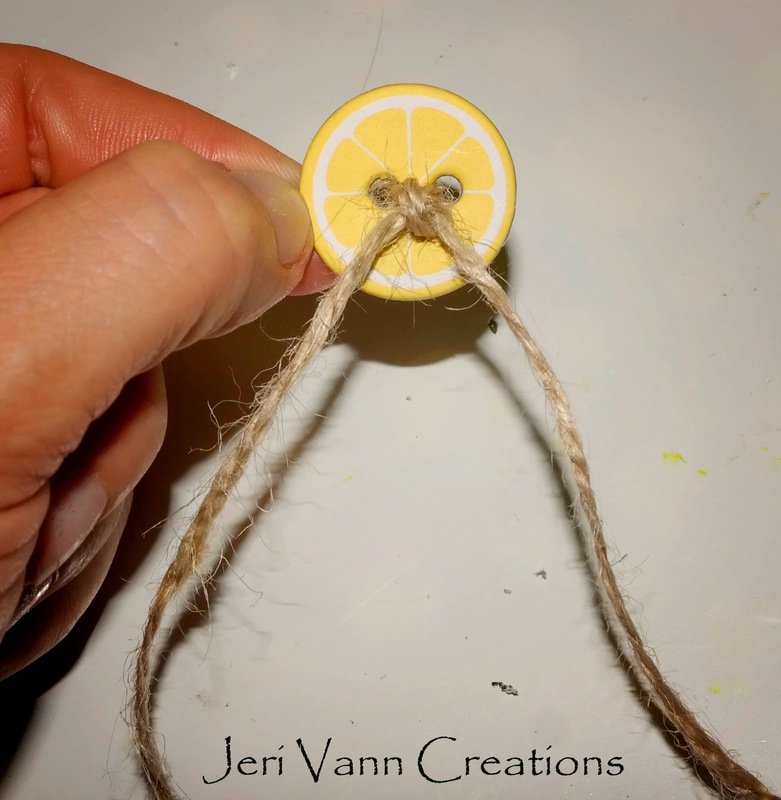 With this Lemon Chipboard Button, grab some Jute and tie it through the holes. Start placing the details on the page. I never secure anything down, until the very end, and I am happy with the way things are laid out. 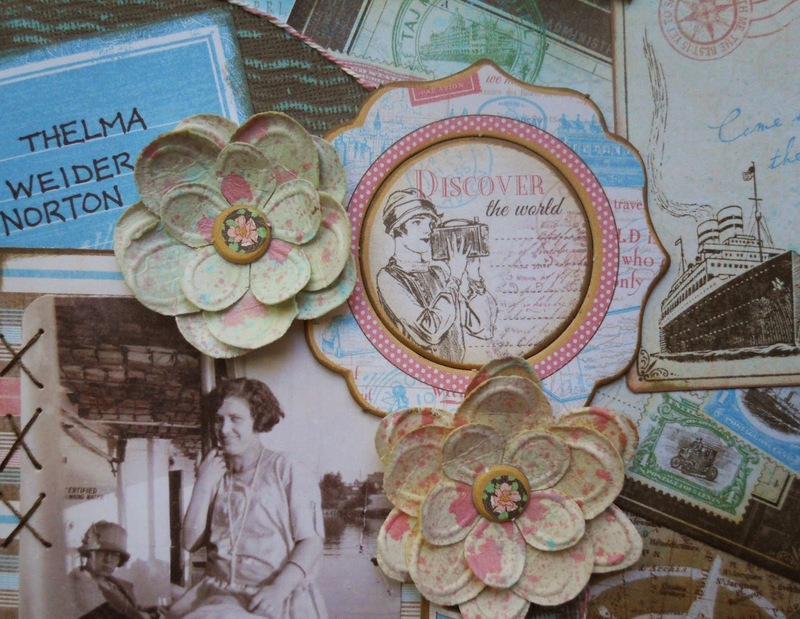 Mix it up and pair paper, with buttons and jewels for texture and dimension. Once you have most of the items laid out, go back through the bundle and see if anything else pops out at you. Here I added the ‘Best Summer Ever’ sticker. I love the little word stickers in the bundle, and added a few of them in different corners and areas of the layout. 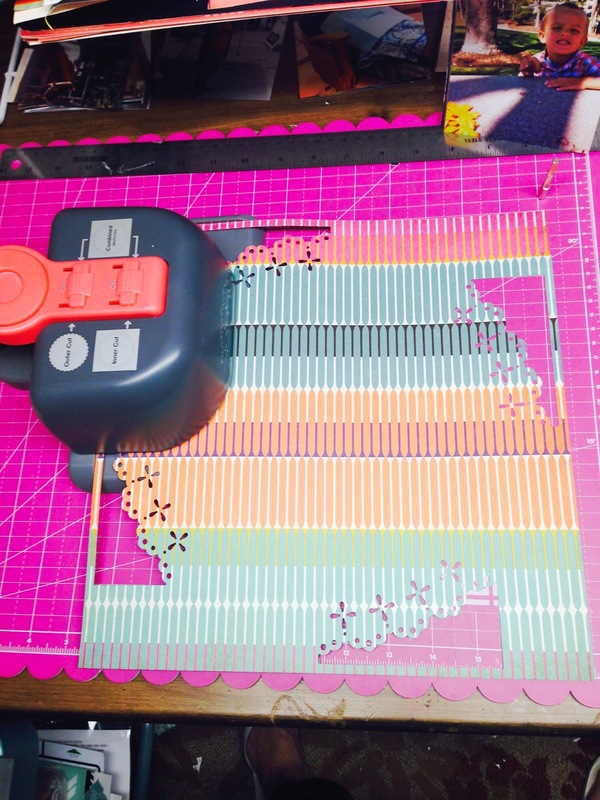 Once you are happy with the layers and details of your double page layout, start securing everything. I used double sided tape and hot glue. Welcome. 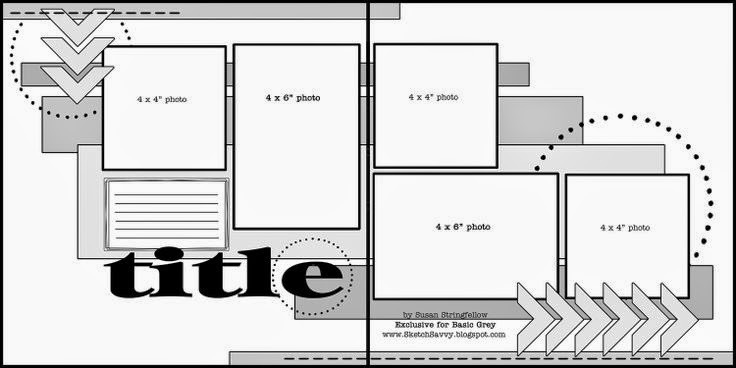 Jessica here with you today to share a layout I did for the FotoBella design team. I used the Walking on Sunshine line from Echo Park. It is a soft, cute, summer line. It works great for all those pictures of the kiddos at the pool or beach. Which is exactly what my layout is about this time. My oldest Jalyn is a little fish. She loves to swim and bugs me to take her swimming year round. I thought that fish paper was so cute. I knew I had to use it some how. I the red and blue paper to look like waves, then kept my embellishments pretty simple since I had three larger pictures on the page. Thanks for stopping by! Hope you enjoyed my layout. Basic Grey's Grand Bazaar collection is really awesome. It is really beautiful with all it's fun patterns and vibrant colors. I'm always saying how I like to have cards on hand, and here's another one that will work for whatever occasion you need. I left space at the top and bottom so that I could easily add the sentiment later. I combined several of the papers and lined them up down the middle of the card. 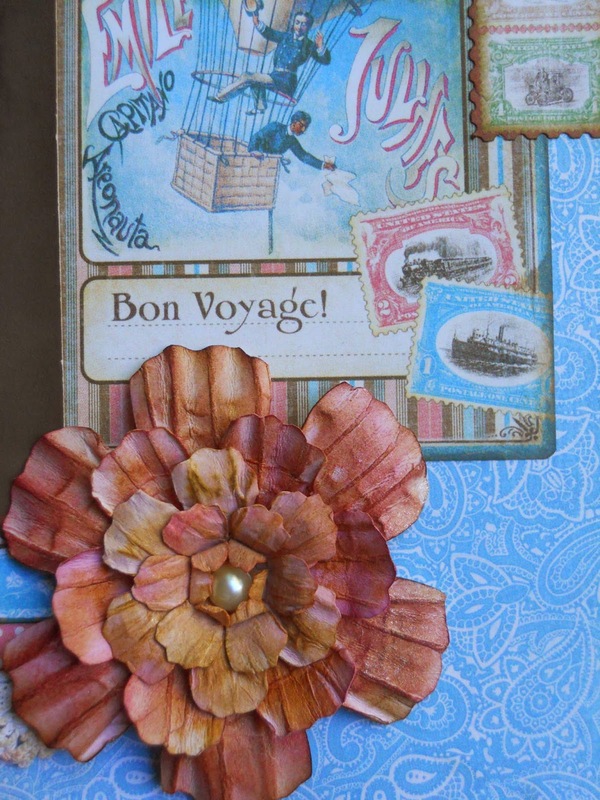 Then layered embellishments to create the focal point of the card. So fun and beautiful! 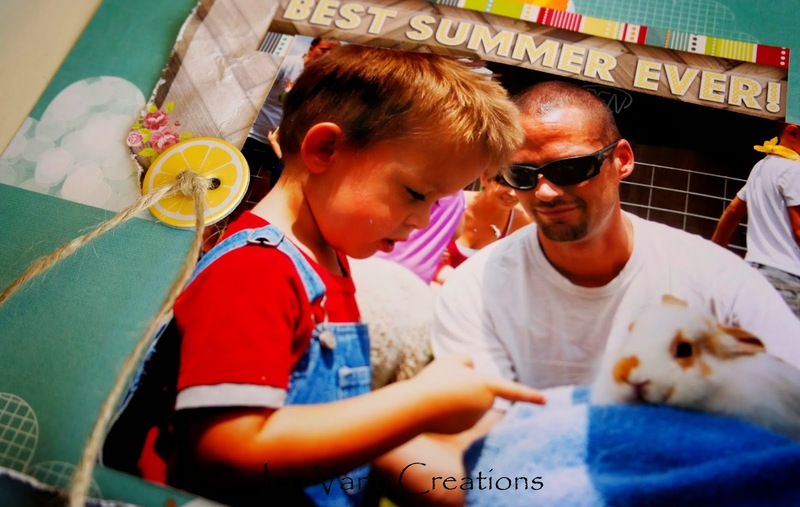 Another great bundle offered by FotoBella! Happy day to everyone! 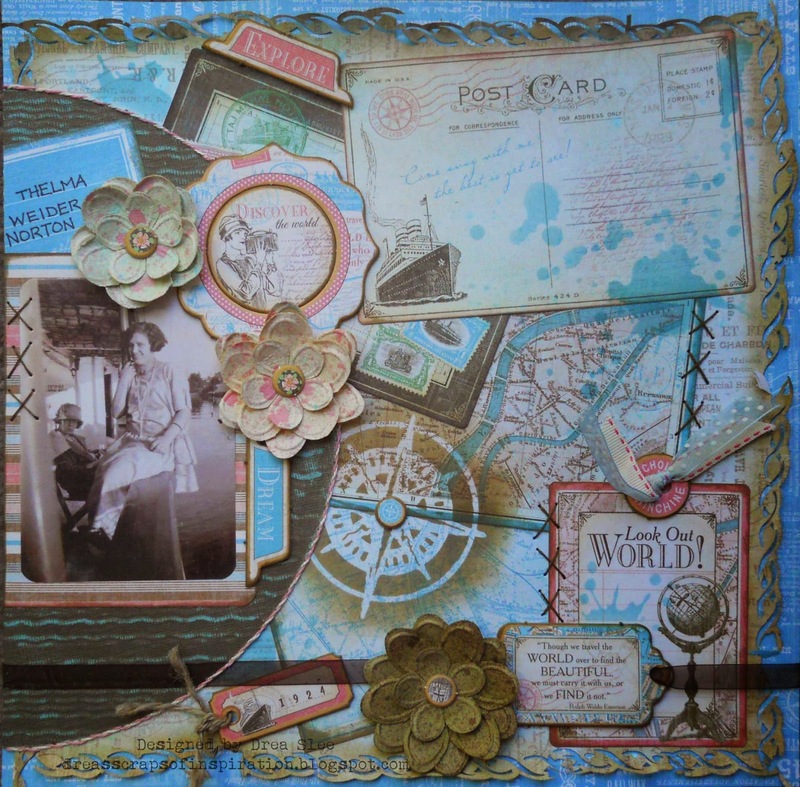 I'm sharing a layout I did using the Echo Park We are Family Collection Kit. I really love the colors in this line! 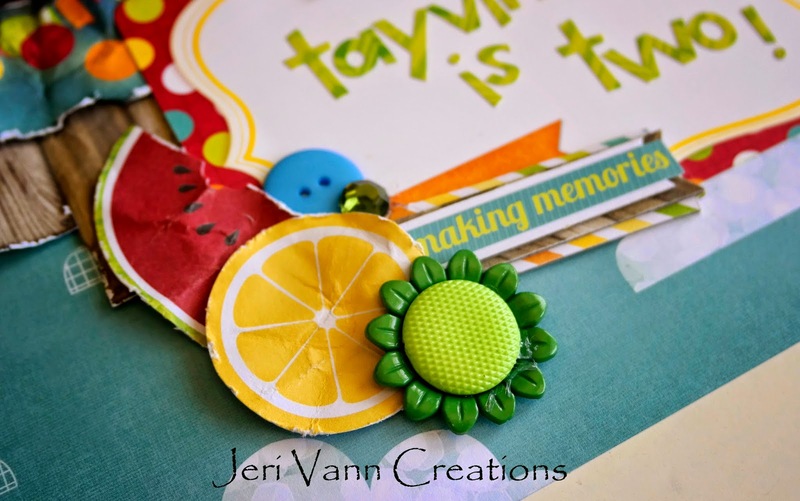 They are so fun and cheery and easy to work with. I fell in love with these worlds with the hearts on them. 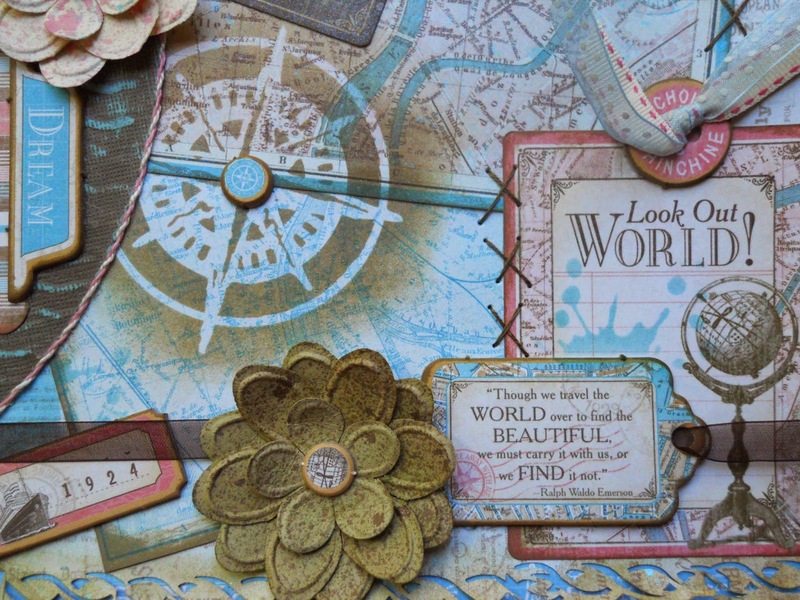 I was determined to get every world embellishment or paper on this layout. I think I'm only one 3x4 card short. I just felt like this picture of my youngest was so much fun and worked so well with this theme. She really balances out our family and I love her for that. FotoBella fans, hello! I've been working with Basic Grey's Grand Bazaar collection. This is one of the photos snagged off the bulletin board the last day of school. My daughter won the award at the beginning of the school year! Another mom was kind enough to snap this photo since I just happened to be at the hospital in labor with her little sister at the same time! This collection is truly beautiful. The colors are so vibrant and fantastic! 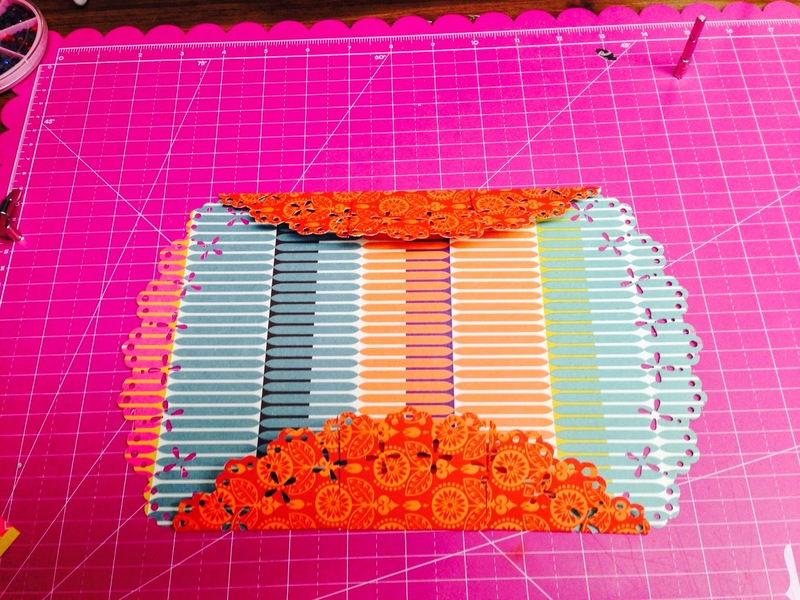 Such an assortment of embellishments come with FotoBella's bundle. I really love the black and gold wood pieces. That fox, oh that fox is so cute! I just had to use it. You can see that I did hold off on the journaling for this layout. I usually do all of my journaling at one time, once I have all the layouts in order and ready to go into the album. That way I get all the facts straight and in order! The chipboard sticker pieces are really amazing. Great pop of color next to that black outline.